Home Spotlight	THE HONEY CONE ARE STILL AS SWEET AS THEIR MUSIC ! THE HONEY CONE ARE STILL AS SWEET AS THEIR MUSIC ! We all remember The Honey Cone, an American R&B soul all-girl singing group. They are best remembered for their Billboard #1 hit single, “Want Ads”, “Stick Up” and “One Money don’t Stop No Show”. They departed from Motown Records and signed up with Hotwax records operated by Holland–Dozier–Holland. 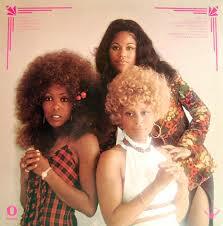 The Honey Cone consisted of lead singer, Edna Wright, (sister of Darlene Love) Carolyn Willis and Shelly Clark . The group formed in 1969 and disbanded in 1973. However, they reunited in February 2014 on the third sailing of the Soul Train Cruise. Original members Edna Wright and Shelly Clark White along with Melody Perry performed two concerts that included their score of hit songs and even a tribute song to Earth, Wind and Fire called “September ” as a connection song for Shelly who is married to one of the Band members. Backbeatrnb wants to Spotlight “Honey Cone” and remember this great R&B group. We hope they will continue to perform from time to time as they still have a lot of fans who enjoy their blend of harmony and soulful sweetness.